Happy bees make better honey! Catskill Provisions harvests pure, raw honey from 700 hives placed in Delaware and Sullivan counties in the Catskill Mountains. 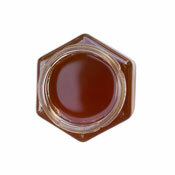 The wildflowers of spring produce this floral honey with tones of cherry and pear blossom. Pair with cheese, yogurt, light teas, cocktails and vinaigrettes. Best known for their honey products, Catskill Provisions began in 2003 when founder Claire Marin started beekeeping as a hobby. In 2010 she quit her day job as a New York publicist and created Catskill Provisions. Catskills now manages over 700 hives in Delaware and Sullivan Counties and one of New York's only inner-city hives - on West 10th St. The honey is harvested twice a year, in the spring and fall. By harvesting honey as infrequently as possible they're able to follow the company motto "Happy Bees Make Better Honey". Martin was inspired by bees' work ethics – social creatures working for the benefit of the group – and aimed to provide sustainable, quality, raw, organic products. Catskill Provisions pride themselves on using resources as local as possible to their small corner in the Northwest of the Catskill Mountains. This includes employing people from within the local community, and only selling to a list of clients who are like-minded in their sustainable philosophy. 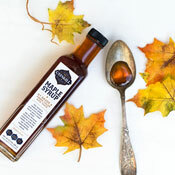 She has used this to expand her line of products to include maple syrup, pancake mixes, truffles, and sauces & marinades. 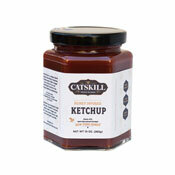 In 2013 Catskills Provisions won a First We Feast: Best Independent American Food Brand award.